In this article, we will show you, How to Create a List Report in SSRS. The SSRS List reports are helpful to place the Column values, along with the charts or respective images. So, here we will show you the step by step approach to create a List Report in SSRS with an example. To demonstrate the SSRS List report, We are going to use below shown Data Set. Please refer Embedded Data Source and Dataset articles to understand the steps involved in creating Embedded Data Source, and Data set that we used for this report. To demonstrate the steps involved to Create a List Report in SSRS, We are going to use the previously generated report that we shown below. Please refer Create a New Report, and Add headers and Footer to SSRS Report article for adding Page headers. In order to add the List Item to report designer, please right-click on the report area, and select the Insert, and then List option from the context menu as we shown below. Once you select the List option from context menu, a new List Item will be added to the report area. For the demonstration purpose, let me drag and drop the [Full Name] column from the ListDS to the List area. Next, we will add one more Text box inside the List area. And to do so, please right-click on the List area, and select the Insert, and then Text Box option from the context menu as we shown below. As you can see we added the custom Text called (Employee Name] to the newly added text box. Use the above specified approach to add custom text for Email ID, and the Designation. Next, drag and drop Email Address, and the Title columns from the ListDs to List area. Within the SSRS List Report preview, you can see the Custom text, and the corresponding column values. SSRS List area is nothing but a rectangle. If you right-click on the list area will open the context menu. Please select the Rectangle Properties.. option from menu to alter the existing properties of the list area. Please refer Add Rectangle to SSRS Report article to understand the rectangle format options. 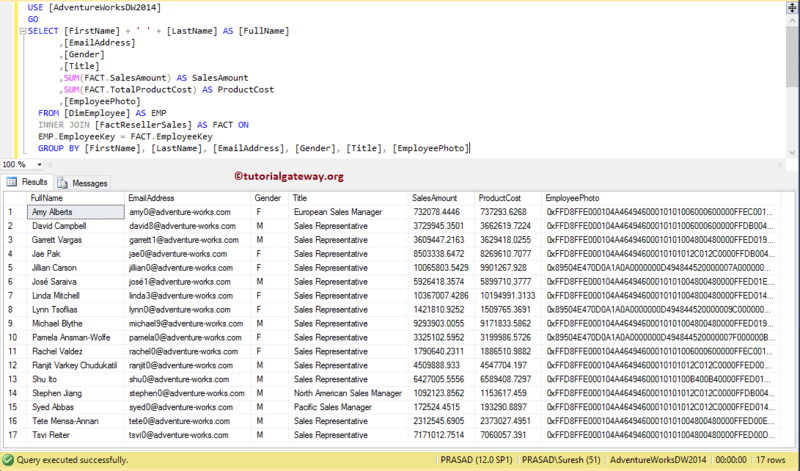 Let me show you the SSRS List Report preview. As you can see that the list is displaying the items with a beautiful font. This is because we formatted all the text boxes inside the list area. I suggest you to refer Formatting Text Box article to understand the steps involved in formatting the text boxes. Let me add the Image to the List area. As you can see that we are assigning the Employee Photo column as the image source. I suggest you to refer Display Image in SSRS Report article to understand the steps involved in adding an image to report. Click on the preview tab to see the SSRS List report preview.